Sölvesborgs Slottruin was once an important Danish castle from the early 14th century. 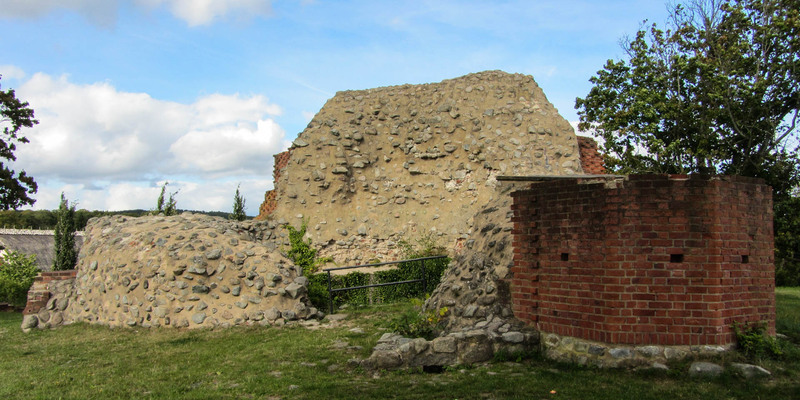 The ruins are located northeast of the old center of Sölvesborger. The remains of the castle complex consisting of an artificial castle mound and the approximately 11-meter high ruins of the former tower with cellars underneath. During the heyday of the castle the tower had impressive dimensions. The diameter was 17 meters with a hexagonal base and octagonal top. Its height was about 35 meters and the walls were 5.5 meters thick. The brick masonry was filled with boulders, large stones and mortar. An attached stair tower connected the floors with each other and the hill was surrounded by two 15-meters-wide moats. Some farm buildings were located between the trenches. 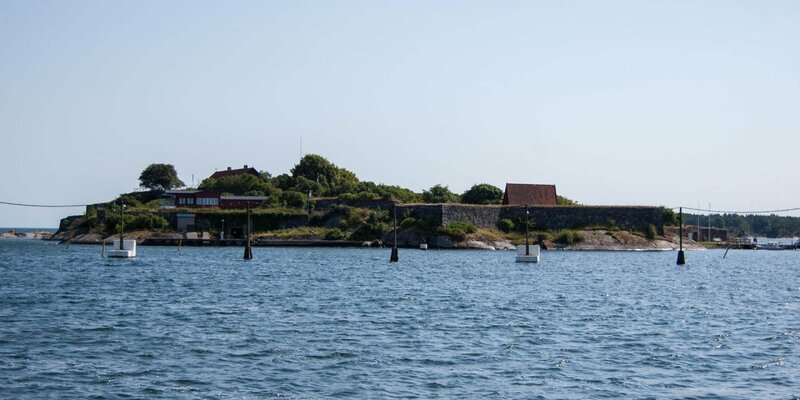 The castle was the largest and most important fortress in the former eastern Denmark. It controlled a strategically important point at the old trade route between the Danish Blekinge and the Swedish Småland. Danish kings stayed there frequently, due to the importance of the fortress. So it was called a castle since the Middle Ages. The heyday of the castle lasted until the Seven Years War in the mid-16th century. Swedish troops conquered the province of Blekinge and on September 6, 1564 the Danish ruler fled of the castle - not without setting it on fire when he left. The castle was not used for military purposes since and been left to decay. 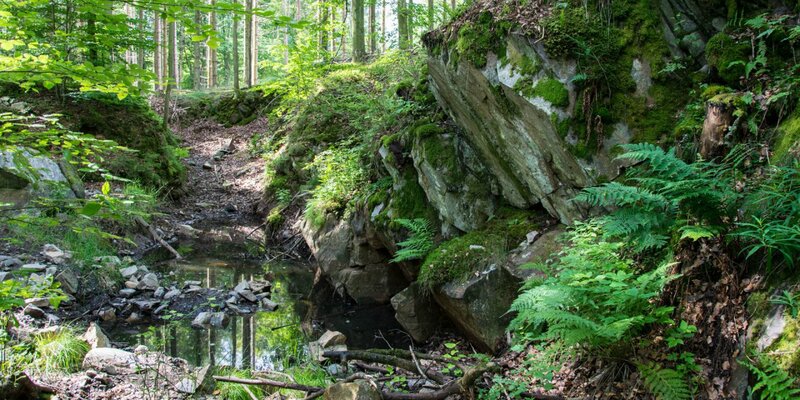 In the 18th century it was used as a quarry for building houses. 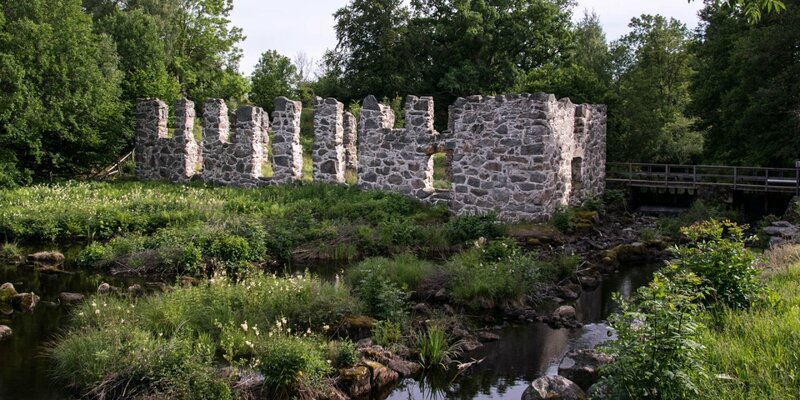 In particular, the castle Sölvesborg next to the ruins was built with stones from the old castle.